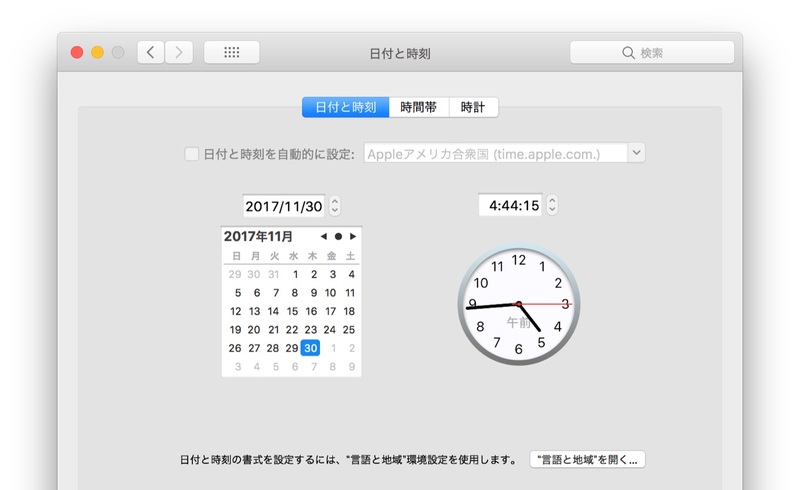 macOS High Sierraに2017年12月以降「Month 13 is out of bounds」というエラーメッセージが大量に発生する不具合が確認される。 | AAPL Ch. And obviously, it would be, because there is no month 13. 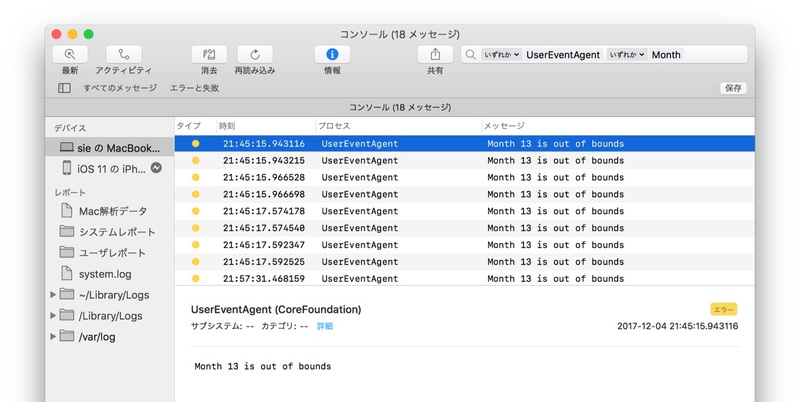 But if you’re unlucky enough to be a Mac user in the month of December, 2017, then you’ll probably be seeing a lot of “Month 13 is out of bounds” messages in your Console. And by ‘a lot,’ I mean an exceedingly excessive never-ending stream of spewage…[…] This bug must be new with High Sierra (or we would have seen this last December, too). 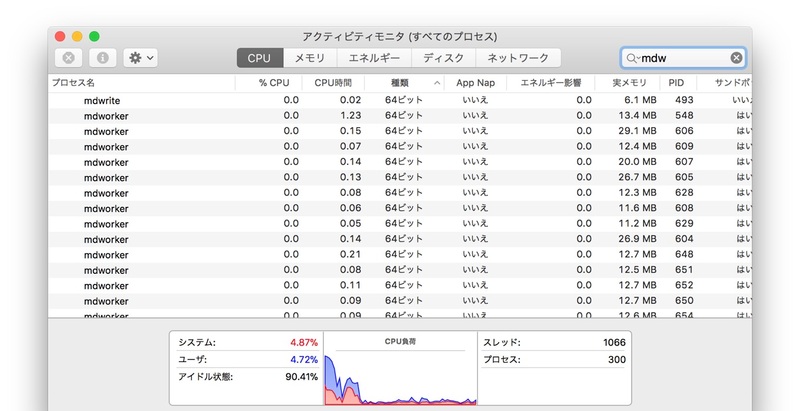 Looks like macOS is also affected to some degree by the Dec 2nd bug. These warnings just started popping up today. I wonder if it's the same as the iOS issue.